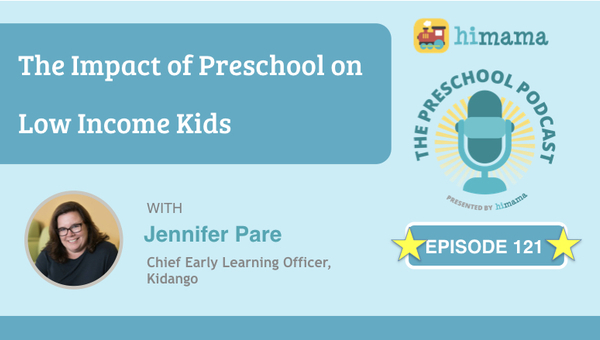 The Preschool Podcast, brought to you by HiMama, is a platform for learning from leading professionals in early childhood education. If you work in a child care, preschool or early years setting, The Preschool Podcast will provide you with inspiring and motivational stories, as well as practical advice for managing your organization, center or classroom. 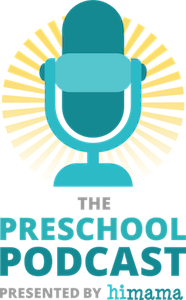 The goal of the The Preschool Podcast is to provide inspiration and knowledge to the future leaders of early childhood education by speaking with experienced and insightful leaders in the world of preschool and early learning today. We release new episodes of The Preschool Podcast for all things Early Childhood Education every Tuesday! Be sure to subscribe on iTunes or Stitcher to make sure you never miss an episode. Leave us a review if you find this useful and let us know if there's a topic you'd like us to interview someone about! 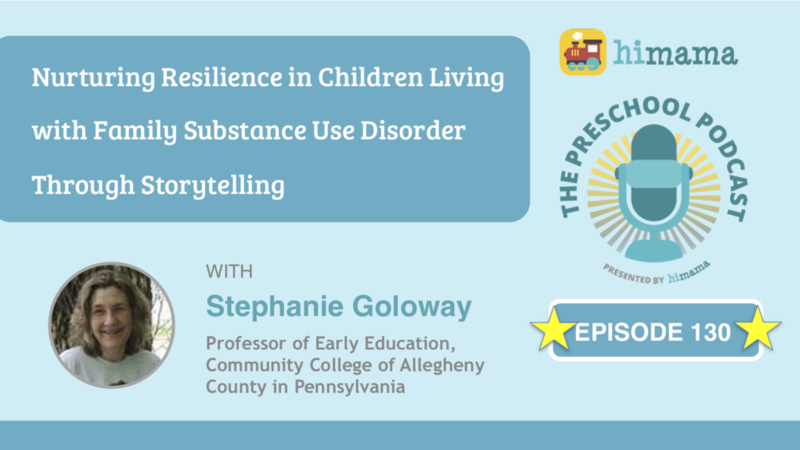 There are few resources for early educators on the subject of nurturing resilience in children with families that have substance use disorder. Learn more about how storytelling is a powerful tool to do this in this episode of the preschool podcast. 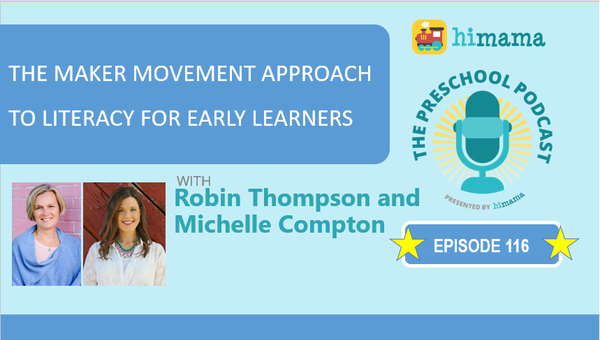 What can you do as an educator to structure a space that encourages preschoolers to move while learning? 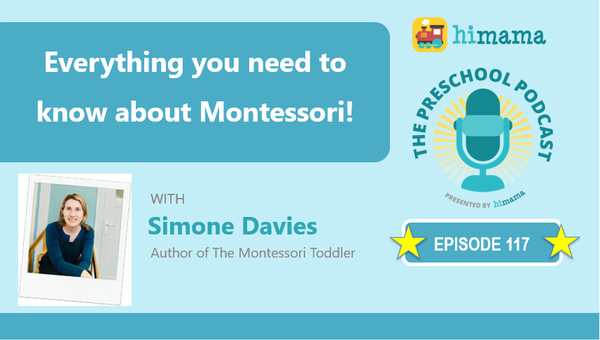 Learn more in this episode of The Preschool Podcast! How would you create an equitable preschool classroom when working with families in poverty? 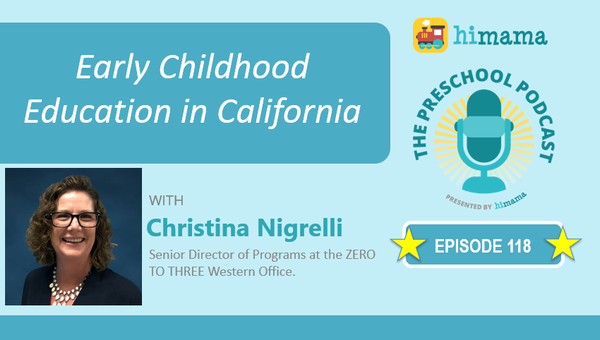 Listen to this episode of The Preschool Podcast to get learn more. How would you create a classroom that supports immigrant families to adjust to their new environment? Learn more in this week's episode of the preschool podcast! How would you advocate for children in a political climate where "fake news" is spread through social media? 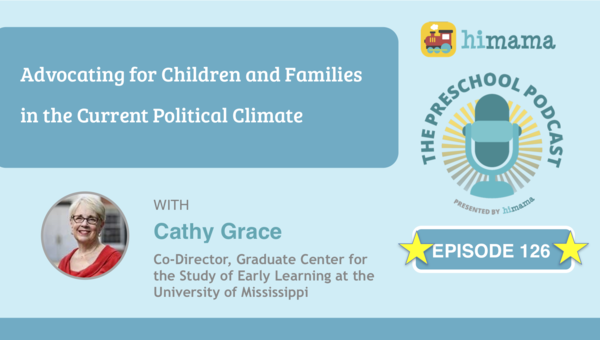 Learn more about advocacy in the currend political climate in this episode of the preschool podcast! What if instead of just 30 minutes, the ENTIRE day was outdoor time? 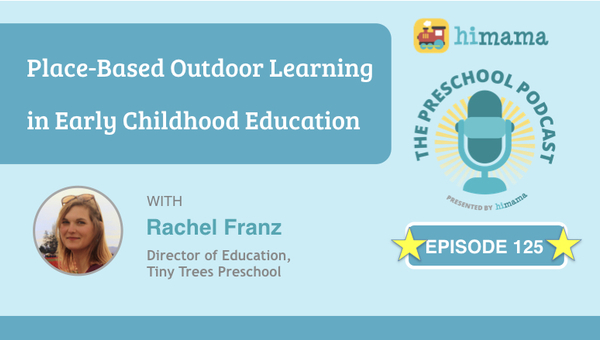 Learn more about outdoor education in this episode of the preschool podcast! By creating an inclusive environment for children with disabilities at an early age, we can help set them up for a lifetime of success. Learn how to bring the outdoors into your classroom through nature-oriented activities. Learn how to use Reflective Practice to learn from your mistakes and successes and improve your child's development. In this episode, learn how much of a difference preschool can make for children coming from low income households. What Should Montessori Look Like? What does a successful Montessori institution look like? We caught up with Margaret Whitley to find out. How can you benefit from the SECE approach? What challenges are facing early education leaders in the US' largest state? 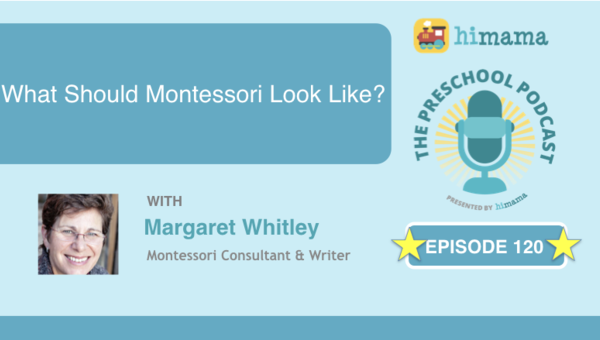 Everything you need to know about Montessori! How can educators respond best to inquiring young minds? How can early educators mitigate the effects of family separation on young children? How can mindfulness be used in the classroom by early educators? How to support an expulsion ban? "Fire it until you wire it! What are some examples of strategies that parents & educators can use to help children reduce and manage stress at a young age? What can parents and educators do at home and in classrooms to promote more risky play? How can we support a young child's early exploration of STEM? Why, when the importance of quality early care and education is so widely accepted, do we continue to fail so many? When does gender identity begin to intersect with STEM? "These programs feel subversive — pedagogies outside the United States’ educational norms. As such, most of these “forest kindergarten” or “nature preschool” programs are private...and expensive." "There could be no greater trauma than to be taken away from the foundation, their adult relationships". What are the differences between American and Canadian early childhood education policy? 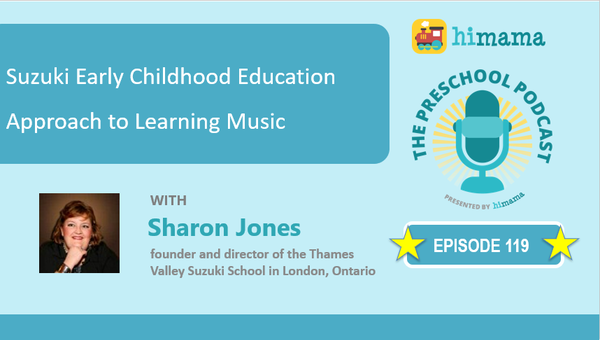 Welcome Dr. Jean to the 100th episode of the Preschool Podcast! Should we teach to gender differently? How can early childhood educators support a growth mindset? Underserved Child Care Communities and Compliance. What’s the relation? How does early childhood education professional development and child care compliance intersect? Why is play important in child care? We want to understand and unpack the insides of child care environments - not just large centers - homes and elsewhere. Challenging behaviour and intense emotions are often linked - how best to manage? Structure and consistent is critically important for young children to thrive in learning environments. Sequence and patterns in a recognizable and familar order are important for young children. How can we trust children and start having fun with food! If you are under enrolled - you're leaving revenue on the table by not investing in digital marketing. How are young children and families supported in Colorado? How much of a child's personality trait is defined by nature and how much is defined by his or her environment? What does childcare look and feel like in New York City? Dr. Bill's enthusiasm is electric and contagious, this week's episode is a real treat. How can we professionalize and elevate early childhood educators? Blocks are the perfect 3 dimensional material to encourage learning with all five senses. Blocks provide so many opportunities to teach math, social-emotional, and fine motors skills. How can ratings systems potentially work against play-based and social-emotional learning? Shanda challenges center directors to be willing to take a lower star rating in order to meet the needs of your children at the time. We are born with empathy, yet by the time we are in elementary school signs of empathy begins to fade. Tedi delves into her personal journey to value children and promoting childhood empathy programs. Why is play based learning so critical? "One of the interesting things about play is that you can't fail when you play". Play needs to be truly chosen, self-instructed and self-directed. How can we give children space to learn and support parents in approaching early education with spaciousness? Scott McLeod provides some tactical case studies on what new, innovative school and education approaches look like. Preschools and K-12 need to define how they will implement an SEL program and not just use these popular taglines without deploying it effectively. Vicki Davis also discusses the nuance in language, and draws connections between STEM and SEL. How to Motivate Your Staff – Finally See the Change You Want! #66: Chanie Wilschanski returns to discuss her work with 'The School Culture Model'. Chanie presents concrete ideas for how to effectively motivate early childhood professionals in team meetings and in the classroom. #65: Marilyn Ballard, Owner of ECE Solutions joins us this week to talk solutions to challenging behaviour. A huge percentage of the time, punishment is found to be a significant developmental problem for children long term. Punishment is damaging to children. How can we train children to have better behaviours without punishing them? Preschool, child care, day care, early childhood education - whatever you prefer to call it - is a sector that is getting a lot of attention at the provincial and federal levels here in Canada. Learn more about Canada's vision for universal child care. Leadership is all about authenticity. Listen to this podcast to see how you can find a community of like-minded people to support you in your professional journey as an early childhood educator. Babies use their relationship with their primary caregiver to create expectations about how they relate to others. Listen to this episode to learn about attachment styles and how you can create a nourishing emotional environment for babies! Many teachers struggle with challenging behavior. In fact studies have shown than 10-30% of children display challenging behavior in the classroom. Listen to this episode to learn how improv can help! This is a transcript of the Preschool Podcast, episode #52 "Shared services for pedagogical and business leadership"
On episode 46 of the Preschool Podcast, we talk about supporting men in childcare with Soren Gall, founder of Men in Childcare Colorado.